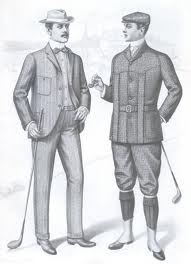 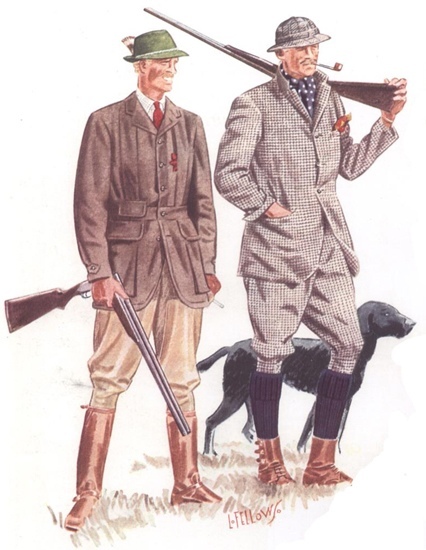 Originally designed for shooting and later used for other sports including golf, the Norfolk jacket was the fashionable sport attire of its time. 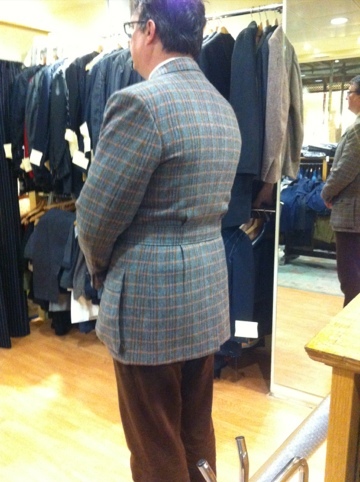 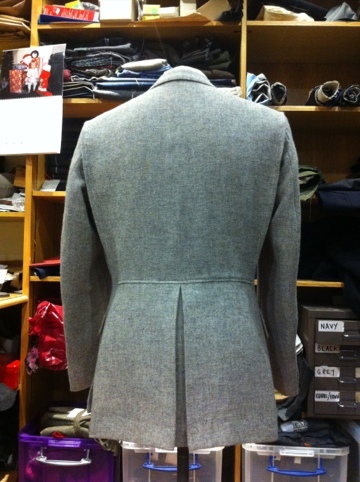 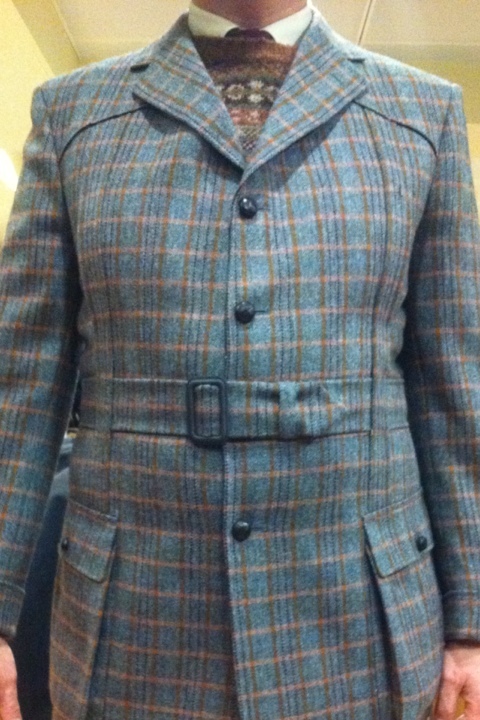 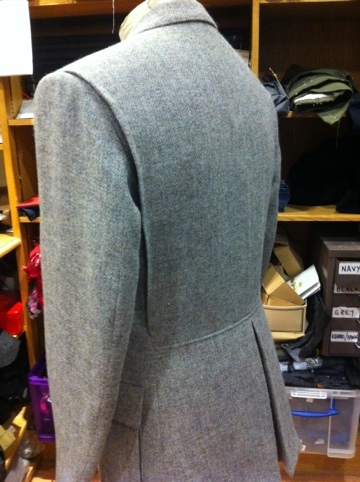 There are different variations of a Norfolk jacket now, some with a full belt, some with half, box pleats front and back and an action back is also an option. 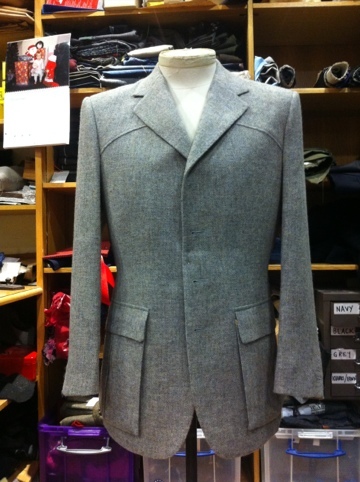 Here are a few Norfolk jackets going through at the moment, one still has buttons to go on but these two show the different options available. 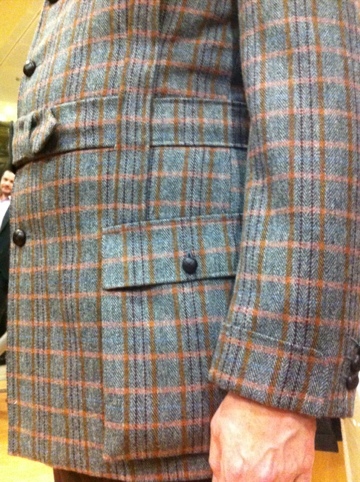 One has the box pleat down the front only with a full belt, bellows patch pockets and gauntlet cuffs. 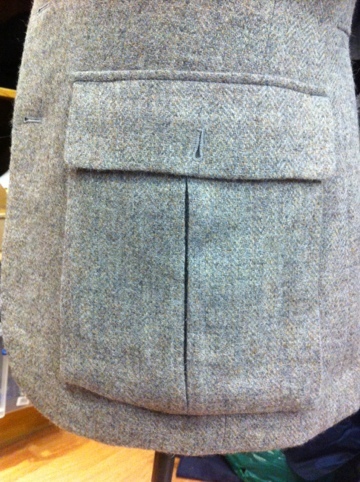 The second in the permanent style tweed has no box pleats but an inverted pleat in place of a centre vent to keep the breeze out, an action back to improve movement and bellows patch pockets with inverted pleats so the style is in keeping with the back.